November 4, 2017 - 2 - 10:30 p.m. 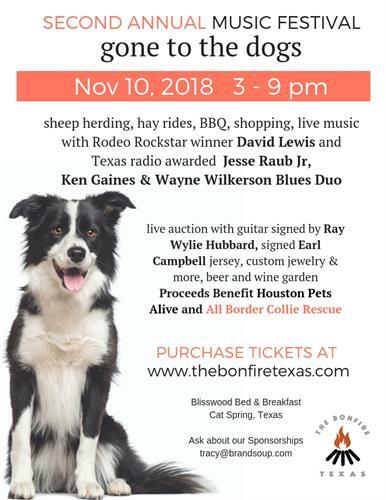 The Bonfire Texas is an annual music festival in Cat Spring, Texas that's ''gone to the dogs'' to raise money for All Border Collie Rescue and Fosters of Blisswood. This festival includes live music, dancing, BBQ, hay rides, sheep herding, dog dancing, shopping and more! 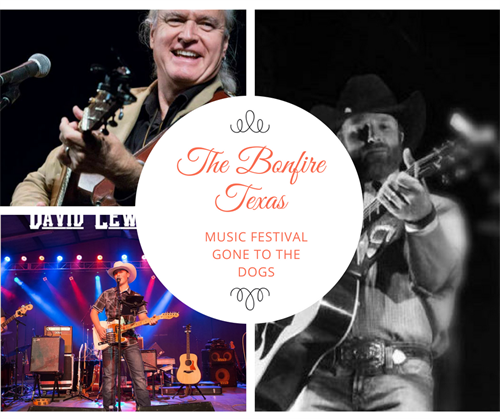 Join us at this first annual festival - www.thebonfiretexas.com.